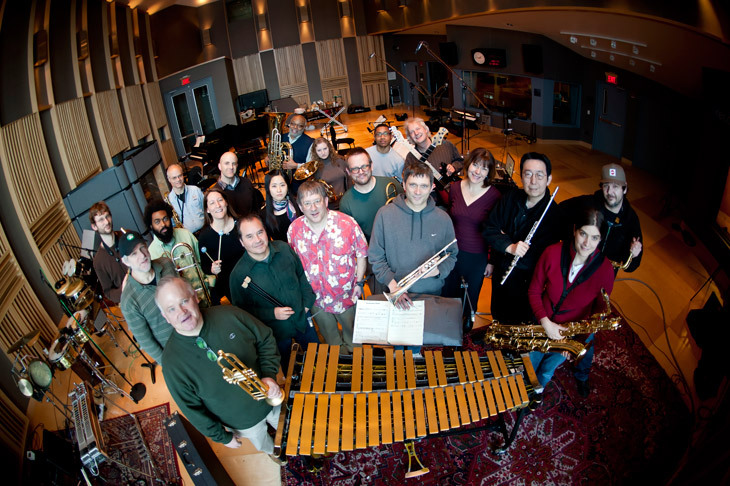 When The Jazz Composers Alliance was founded in 1985, its agenda included the establishment of an active public forum for the presentation of new jazz works, the creation of the JCA Orchestra, and a concert series that included a visiting composers program. Since then, the JCA initiated the Julius Hemphill Composition Awards, an annual competition promoting the most interesting and progressive work by jazz composers around the world. There have been over 15 resident composers writing for the JCA since its inception. With some of New England's finest improvising musicians in its ranks, the JCA Orchestra has premiered over 120 new pieces by its resident composers along with commissioned works by Muhal Richard Abrams, Marty Ehrlich and Wayne Horvitz; JCA performances have featured collaborations with major jazz recording artists such as Tim Berne, Henry Threadgill, Sam Rivers, Anthony Davis, Bob Moses, Dave Holland, Julius Hemphill, Ricky Ford, Michael Gibbs, Fred Ho, Maria Schneider, and Dave Fiuczysnki; Hemphill and Rivers can be heard on earlier JCA Orchestra albums. The Jazz Composers Alliance also sustains an outreach program in Boston area schools, offering youngsters the chance to create and perform their own compositions with the visiting JCA performers. Visit Jazz Composers Alliance website for detailed infromation.